Providing elderly care for loved ones costs friends and family £1.7bn each year, new research has found. The report by Benenden Health forecasts that the bill for elderly care could rise to £2.8bn by 2050 due to the ageing population. There were 1.31m new requests for care and support from people over 65 in 2016, the report highlights. Only 46.5% of these received some form of short of long-term care, leaving 700,850 people requiring help. 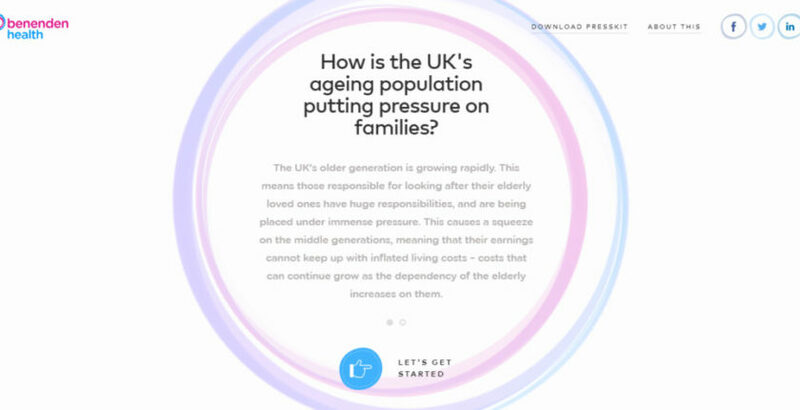 Benenden Health said that average yearly spend on elderly loved ones amounted to £2,500, in addition to funds provided by the individual which amounted to up to £1.7bn last year. The Benenden Health survey found that 24% of over 1,000 friends and family consulted used their savings and/or pension funds to fund the cost of care, with 32% expecting they will need to do so in the next five years. The report also found that friends and family spent 118 million hours on caring for their elderly loved ones leading to mental health and financial issues.